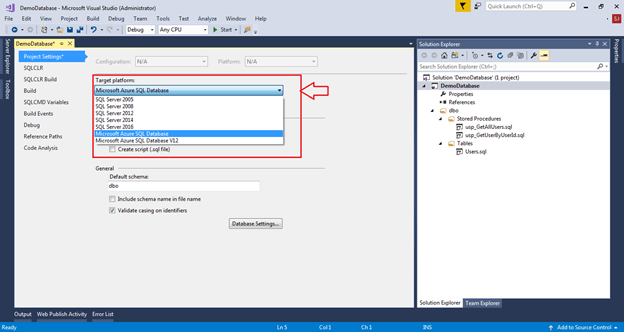 In this article, we’re going to learn about how to we can manage our database scripts using Visual Studio’s SQL server database project. When we work on any project, a database plays an important role and after time when the number of tables, views and procedures increases - it becomes too difficult to manage the scripts. And even after that when we manage the scripts, then we still need to compare which script we had worked on and which are remaining on any particular database. There are many good tools available in the market for comparing databases but most of them are paid. 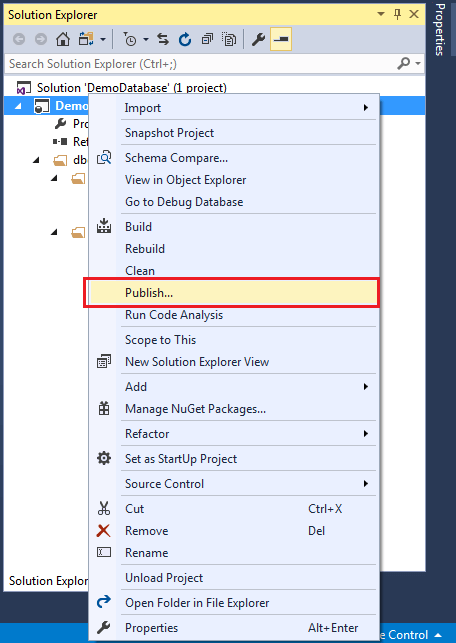 So, in this article we’re going to learn about how to we can manage our database scripts using Visual Studio’s SQL Server Database Project. 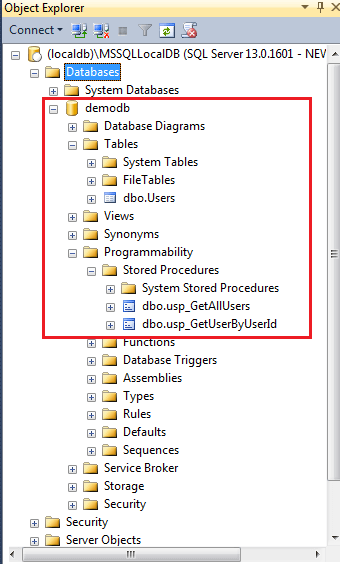 We can create a new database project and import database schema from an existing database, a .sql script file or a Data-tier application (.dacpac). 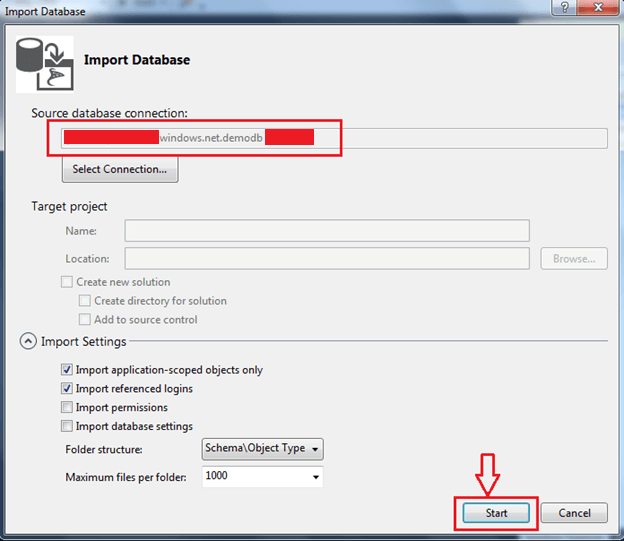 We can then invoke the same visual designer tools (Transact-SQL Editor, Table Designer) available for connected database development to make changes to the offline database project, and publish the changes back to the production database. The changes can also be saved as a script to be published later. 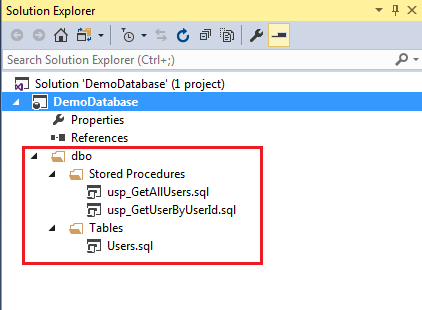 Using the Project Properties panel, we can change the target platform to different versions of SQL Server (including SQL Azure). 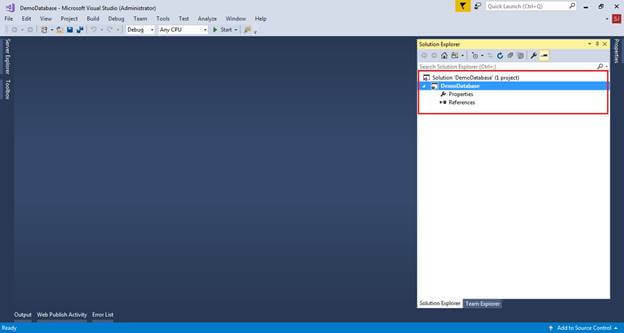 VS2015 or VS2017 should be installed in your machine. 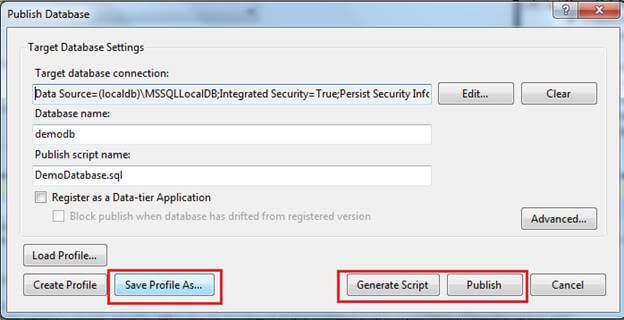 SQL server – to import database script and to publish new or altered scripts. 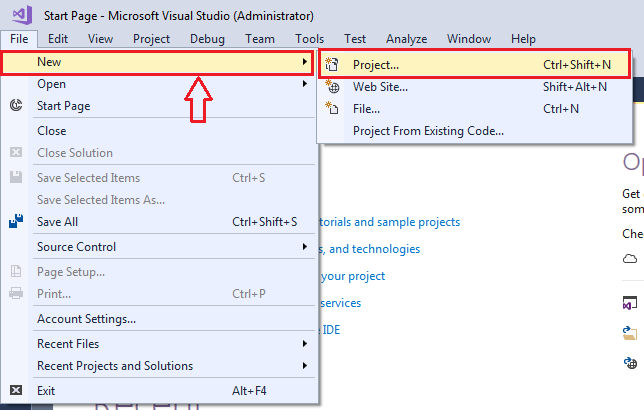 Open VS and create a new project from the Menu, Select File >> New >> Project. 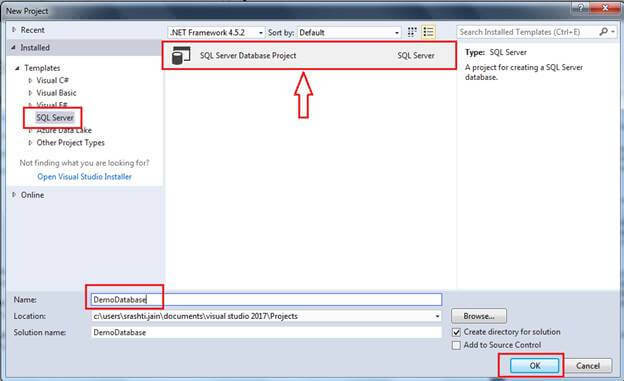 Select SQL Server >> SQL Server Database Project. 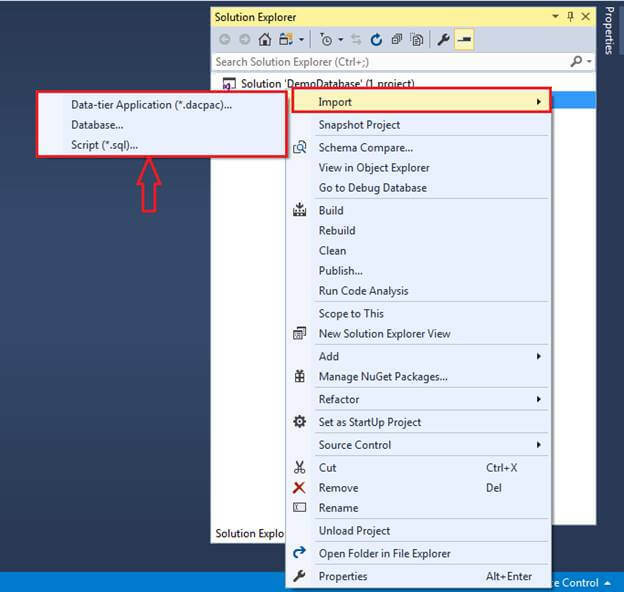 Now, Enter the Name of the project and then press OK.
After the project is created, we can see database project in Solution Explorer. 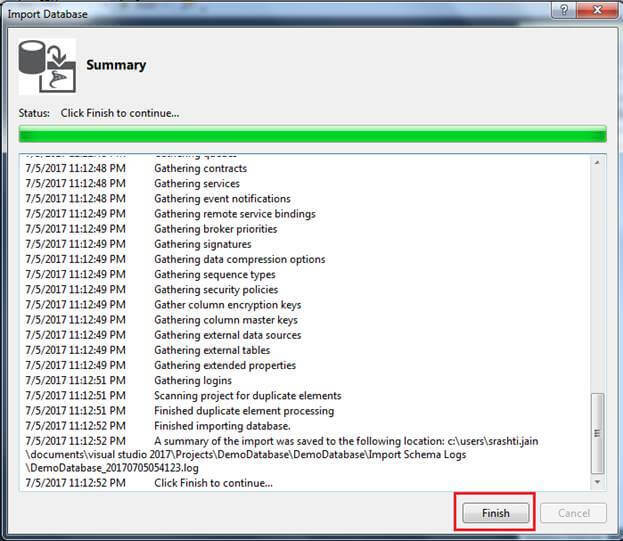 Right Click on DemoDatabase Project and then Import >> .dacpac or Database/Script to import scripts from the existing database. 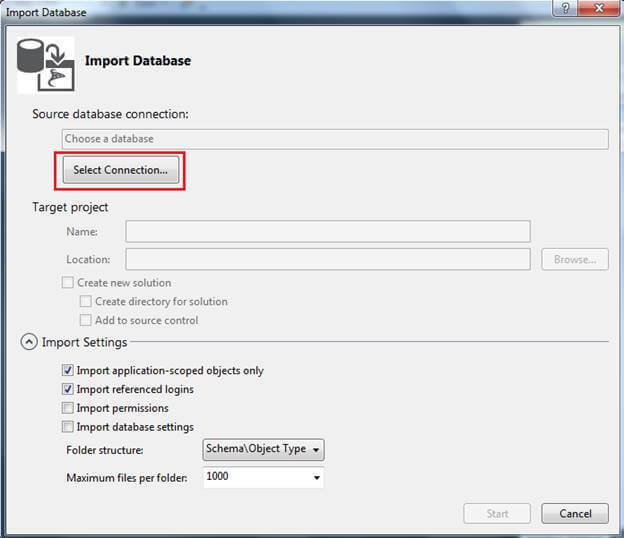 We then select Database >> Select connection. All the scripts are imported to the solution – now we can add or alter scripts from here. 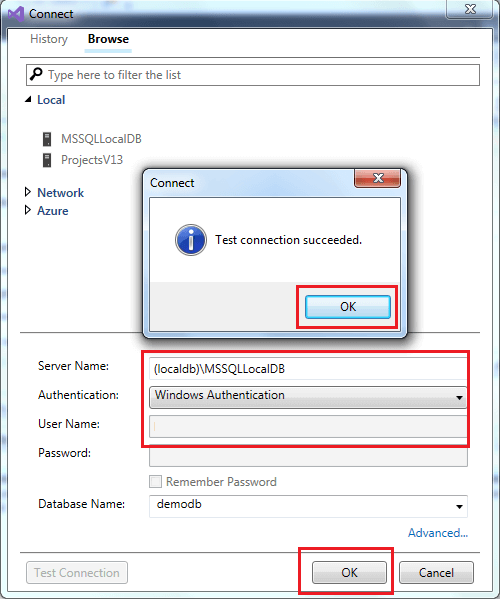 Enter server name, authentication and then select database from the drop-down. Press Test Connection just to ensure the given information is correct. Then press OK.
We can save a profile using Save Profile As button - so that we don’t have to re-enter connection related settings next time. 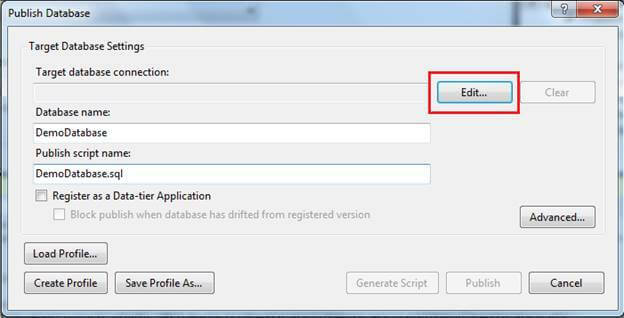 After that, we can Generate Script or directly publish changes to the database. Changes are published successfully to the local database. 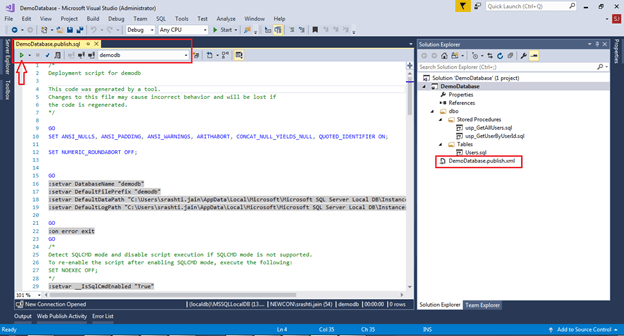 We can check our Database using SQL Server Management Studio. All the tables, procedures, views, etc were populated as is. We don't need to write any migration script like we used to do for DB migration. And after this, whenever there are changes in the tables or the procedures just make the changes to the scripts in solution and publish it to the database – VS will create the alter script accordingly. 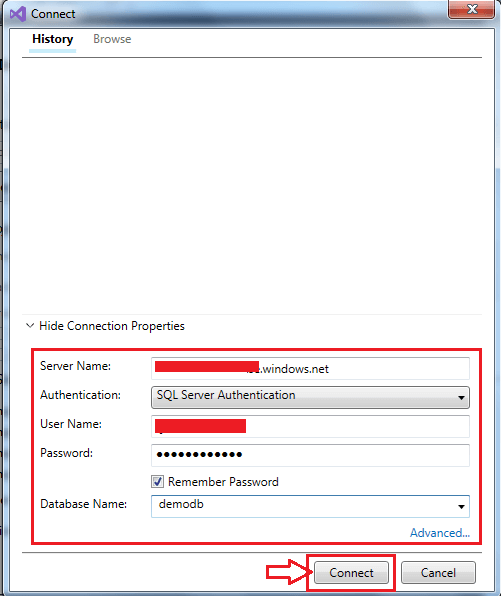 So, managing our database now becomes easier using SQL Server Database Project.